Suzonne dressed up some plain votives with black lace to create a stunning Gothic Halloween centerpiece. This bewitching Halloween decoration could be used all over, from the front door to your mantel display or all of the above. 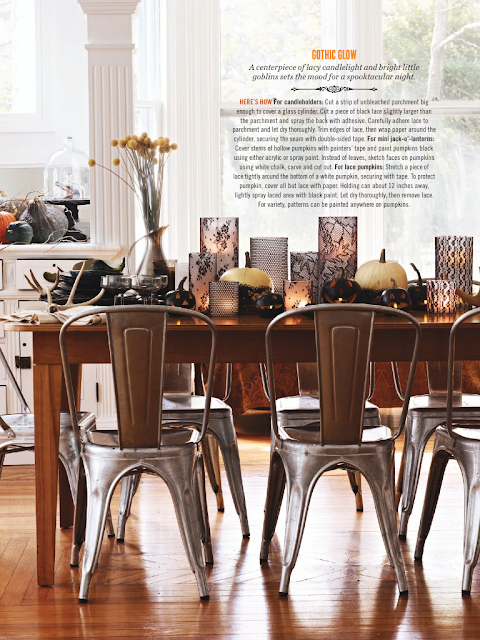 You can check out the rest of this Gothic Halloween Dinner Table over at Family Circle.